We need to get NASA to build a machine so we can send her to THAT universe instead. 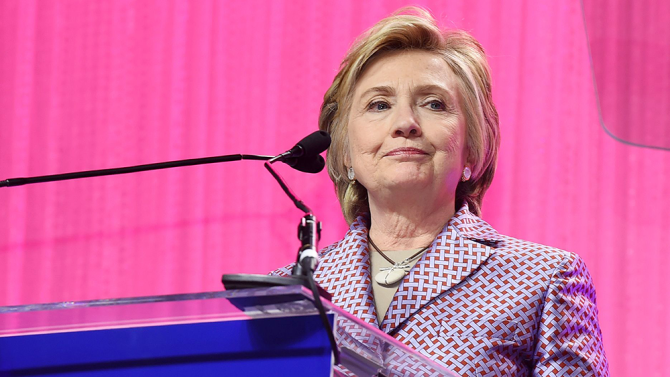 Hillary Clinton’s former campaign team spent much of last week describing an alternate universe in which she became president of the United States. That mythology, they insisted, could have been reality if it weren’t for FBI Director James Comey — and perhaps some hackers in cahoots with the Russians. That’s the day before the FBI director notified Congress in writing that they were reopening the email investigation. Democrats were outraged that Comey sent this letter, sensing the implication that perhaps something incriminating had been found, only to reaffirm Clinton shouldn’t face criminal charges two days before the election.